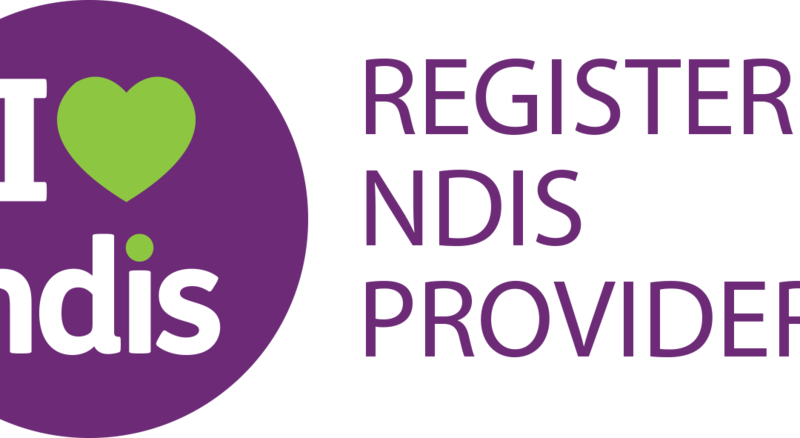 As the NDIS continues its rollout across South Australia, Immersion Therapy™ is pleased to be a registered business where clients are able to receive funding to participate in Determined2® services here in Adelaide. As of March 2018, over 16,000 people from SA are receiving benefits from the National Disability Insurance Scheme, with over 8,000 receiving support for the first time. The National Disability Insurance Agency has stated that, due to a number of factors, transitioning clients to the Scheme is taking much longer than anticipated, with a complete rollout in SA by the end of 2018. Determined2® is registered for support in Increased Social and Community Participation and Improved Daily Living Skills. 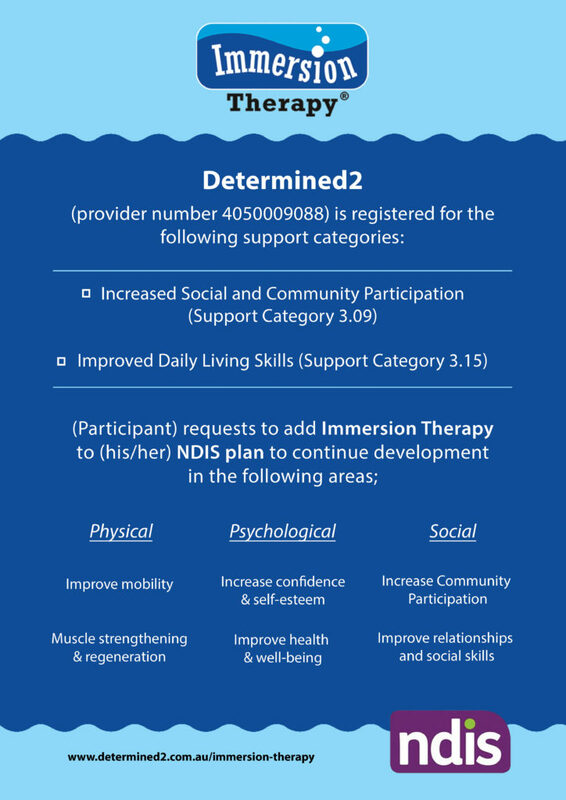 Participants may request to add Immersion Therapy™ to his/her NDIS plan to continue development in physical, psychological and social areas, including improved mobility, increase confidence and self-esteem, and increase community participation. Appropriate Transport Allowance and/or support hours may also be discussed for inclusion in the plan. If you require further information about Determined2®, Immersion Therapy™ or participation in our service, please contact us by phone on 0417 932 466 or by email at admin@determined2.com.au. Immersion Therapy TM is being recognised as a world-first, breaking down the barriers for people living with disability or injury, giving them access to movement and benefits like never before. Using a biopsychosocial model, it is designed to accommodate participants’ individual needs, while assisting to increase functional capacity to enhance social and community participation.